Checking your credit score online can help you ensure your credit score is positive and reduce risks of identity theft. In the United States, credit scores are used to measure a person's credit and their ability to pay bills or debt on time. Credit scores range between 350 on the low end to 850 at the highest. 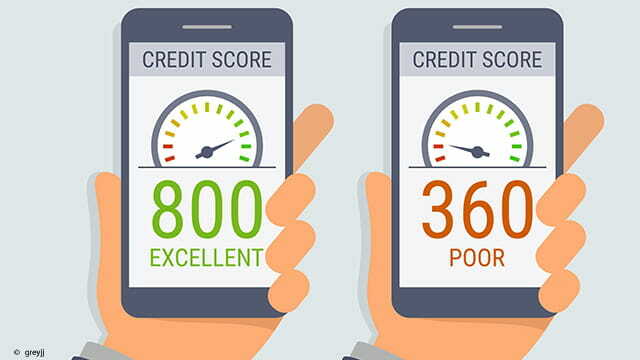 The score is calculated on a number of factors, including but not limited to, the number of credit accounts open, recent inquiries on you credit score, total amount of credit available, and the history of your credit accounts. If you would like to check your credit score, luckily there are several tools online to help you do so. The three credit reporting agencies are Experian, Equifax, and TransUnion. These agencies, along with most financial institutions, offer you the ability to check your credit score for free or at a low cost. To check your visit the site of one of the credit agencies and create an account. You will be required to enter your full name, address, and you social security number in order to confirm your identity. Credit scores are also often available from your personal financial institution. Simply log into your online banking or contact you bank's customer service to check if credit score reporting is available online. Lastly, you can also access one free credit report per year by visiting Annual Credit Report website, which is supported by the US Government. Published by Daniel Telele. Latest update on April 10, 2019 at 02:08 PM by Daniel Telele. This document, titled "How To Check Credit Score Online," is available under the Creative Commons license. Any copy, reuse, or modification of the content should be sufficiently credited to CCM (https://ccm.net/).